Consumers’ safest bet this holiday season is to stick with stores they already know and trust. That said, sometimes the best deal might be on an offer from an unfamiliar up-and-comer. However, before doing business with these retailers, buyers should do a little homework first. Shoppers should keep an eye out for scammers who might be posing as a legitimate website but using a web address with a slight misspelling in the URL or they could be using a different top-level domain than the official website. Of course, it’s also wise to avoid offers that seem too good to be true and shoppers should avoid giving anyone information they shouldn’t need to carry out the transaction, such as a Social Security number or birth date. As a consumer, one thing you should always double-check is that the website you are using has a secure internet connection, and this is especially important before providing any financial information such as credit card numbers. To check this, look for a padlock in the address bar of their browser. You can also look for a URL that begins with “https” rather than “http” — the “s” stands for secure. This way, shoppers can be assured that the information they’re transmitting will be encrypted upon submission, making it much more difficult for hackers to intercept. 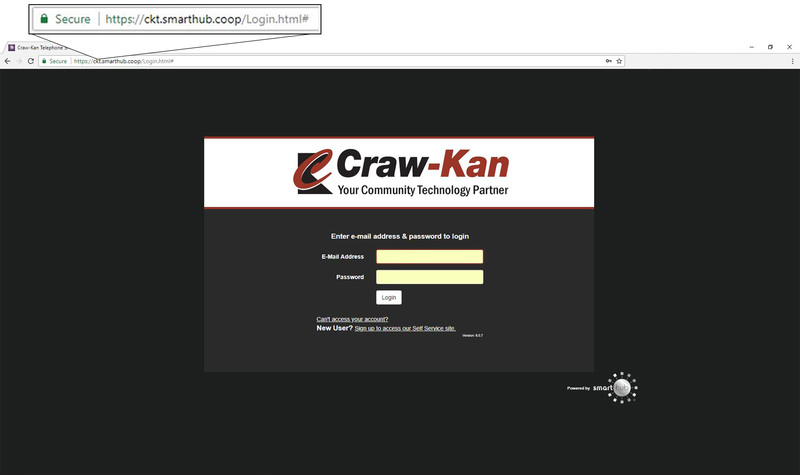 Below is what the Craw-Kan SmartHub bill payment site looks like, which you can get to by going to ckt.net or directly by going to ckt.smarthub.coop. This a good example where you can see the security lock in the URL. Being hyper-aware of the website you’re surfing is be a big deal when making online purchases. For example, ckt.com and ckt.net are different websites (ckt.net is the official Craw-Kan website) and these differences in the website address are known as the Top-Level Domain or TLD for short. Top-level Domains refer to the last segment of a domain name, or the part that follows immediately after the “dot” symbol. TLDs are usually classified into two categories: generic TLDs and country-specific TLDs. Examples of some of the popular TLDs include .com, .org, .net, .gov, .biz and .edu. Some country-specific TLDs are .au, .uk, and .eu. As a consumer, make sure you are on the correct website when online shopping. 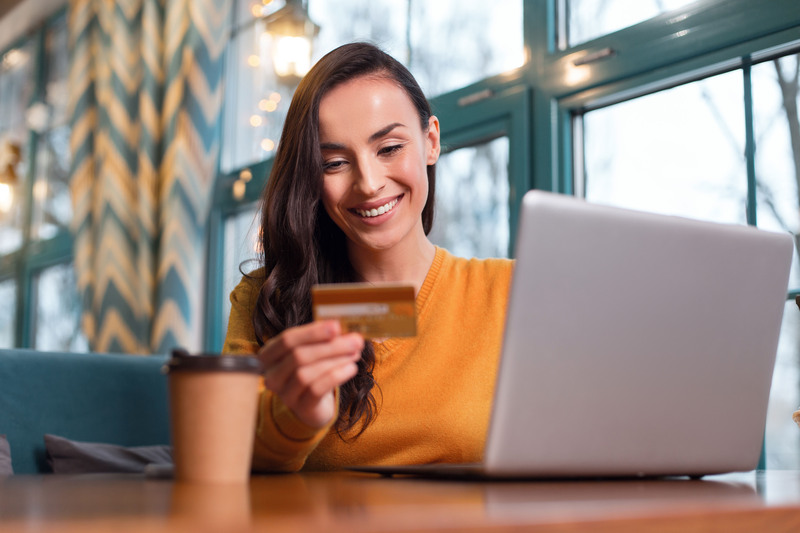 Knowledgeable shoppers avoid purchasing from websites that don’t accept secure payment methods, such as PayPal or credit cards— and both PayPal and credit cards offer buyer protections in the case of any dispute or fraudulent charges. You should be especially wary of online sellers who insist upon payments via check, money order, or wire transfer. Whenever possible, consumers should try to avoid submitting their financial information via a public computer or over a public Wi-Fi connection. Public connections can be risky for a couple of reasons. First, it’s hard to be certain that the public network with the name of a nearby retailer (or even hotel or restaurant) isn’t actually being run by a malicious entity posing as the recognizable business. Second, even if the public network is being provided by a legitimate business, others could be scanning its activity and collecting users’ information. Your safest bet is to make purchases from a home or private connection that you know and trust. This is a good rule of thumb for all consumers, but it’s an especially good idea for those who are concerned about their financial information being compromised online. By keeping a close eye on their financial statements, consumers can quickly spot any fraudulent transactions, then immediately report them to their bank or credit-card issuer. If needed, the financial institution can stop payment for the fraudulent charge or even issue a new account number to prevent the possibility of any additional charges. This may sound convenient to let retailers keep your credit card information on file for future purchases, but this can also present dangers because it provides hackers an opportunity to use the stored financial information. While it requires more work to re-enter financial information each time a purchase is made, the extra few minutes spent on each transaction can also prevent future headaches over fraudulent charges.